Ahh it’s a gaucho’s game! 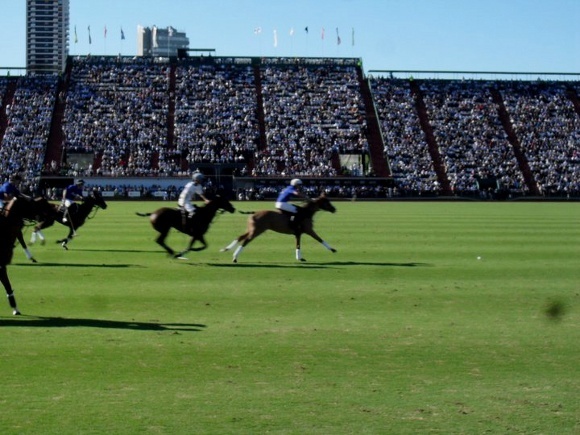 Polo in Argentina is one of the most popular games. With such consistent top league successes some could argue that it’s more popular than futbol (soccer) – which is the game that has the heart of the rest of the South American continent! How did polo reach Argentina in the first place and receive such appreciation from its people? Surely it’s a game of the British gentry? Argentina’s passion for polo was realized in the late 19th century when the country’s railway was being built by British engineers. The British noticed that the flat terrain of the pampas would be an ideal polo ground and so the first polo clubs were established. It makes sense that Argentina has become the premier country for this game, in a land where the equestrian skills of the legendary gauchos (semi-nomadic cowboys) are second-to-none. It’s not surprisingly really, given that gauchos consider their horses to be their houses. Whilst it is estimated that Argentina exports about 3,000 polo horses a year, the nation is home to many prestigious tournaments that invite a following of polo enthusiasts from all over the world every year. The Argentine Open Championship (Campeonato Argentino Abierto de Polo), which is organized by the Argentine Polo Association, and played in Buenos Aires each year is THE tournament for professional polo in Argentina. The championship’s polo grounds are, quite surprisingly, right smack in the middle of the city in Palermo neighborhood. There is really no other city in the world that has such a huge polo stadium and fields right in the middle of the city. This is typically and delightfully Argentine and shows just how important not only the sport of polo is to the culture, but also horsemanship in general. The current number 1 polo player in the world is Adolfo Cambiaso, whose team La Dolfina are regular champions. Other polo celebrities to watch include the Pieres brothers, particularly Facundo, who play for Ellerstina – also a 10 goal handicap, and also Ignacio “Nacho” Figueras, who is best known from Ralph Lauren adverts due to his esteemed status as a model and celebrity. This year’s Argentine Open Championship has just begun (17th November) and continues until 8 December 2012. You can keep up to date with live news from La Nacion. For your ultimate experience of polo in Argentina we recommend that you stay at Legado Mitico Buenos Aires, which is right in the heart of the Palermo neighborhood.